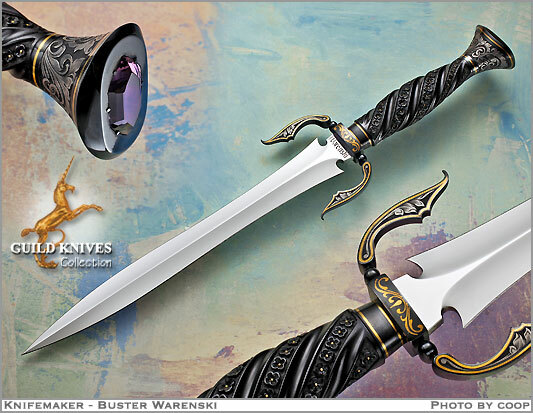 Warenskis are drying up, and this one is of such high quality, one of comparable beauty may not be seen for sale on the web or at a knife show for years. I believe the handle is a black Gemstone, with carved rosettes galore and a Gold stamen in each. Jeweled Pommel.